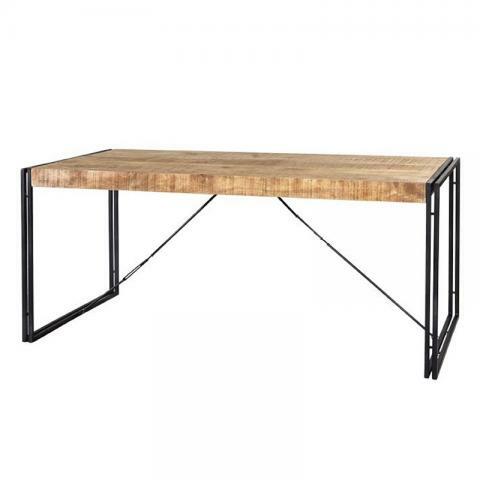 Cosmo industrial style 5ft. dining table. 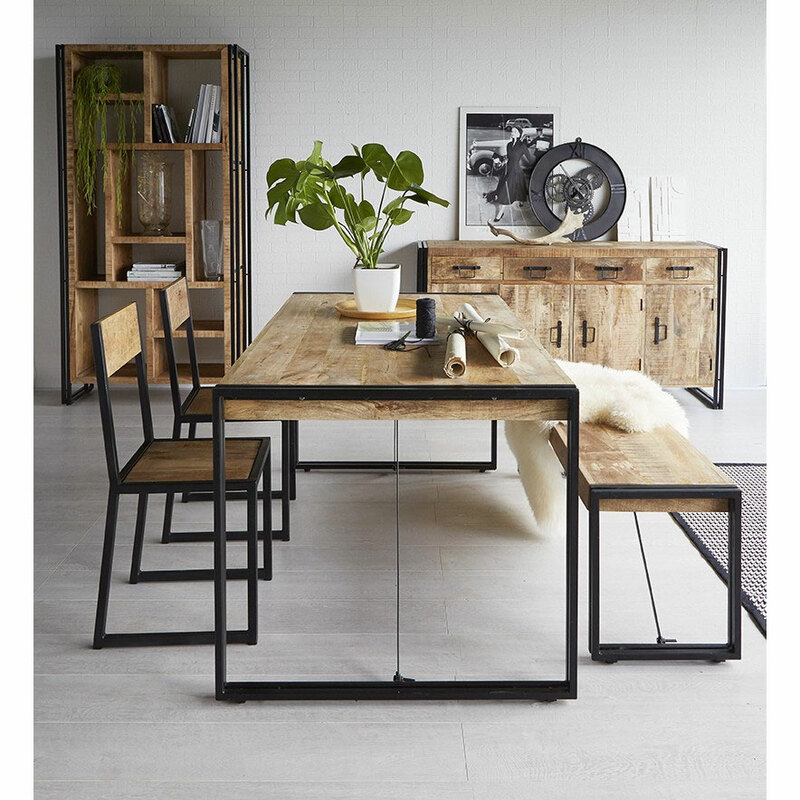 Made from reclaimed metal and wood, this industrial dining table generous size and will complement any surroundings. The Light grain Hardwood Left in its Natural state and colour with natural variations and slight cracking with a banded iron edges.